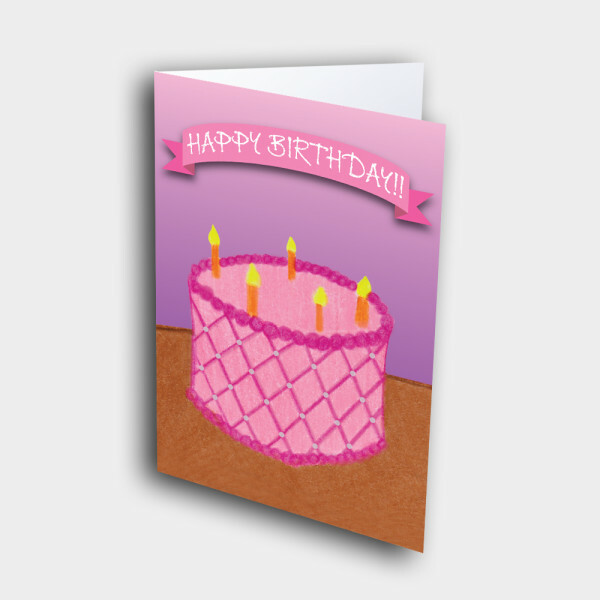 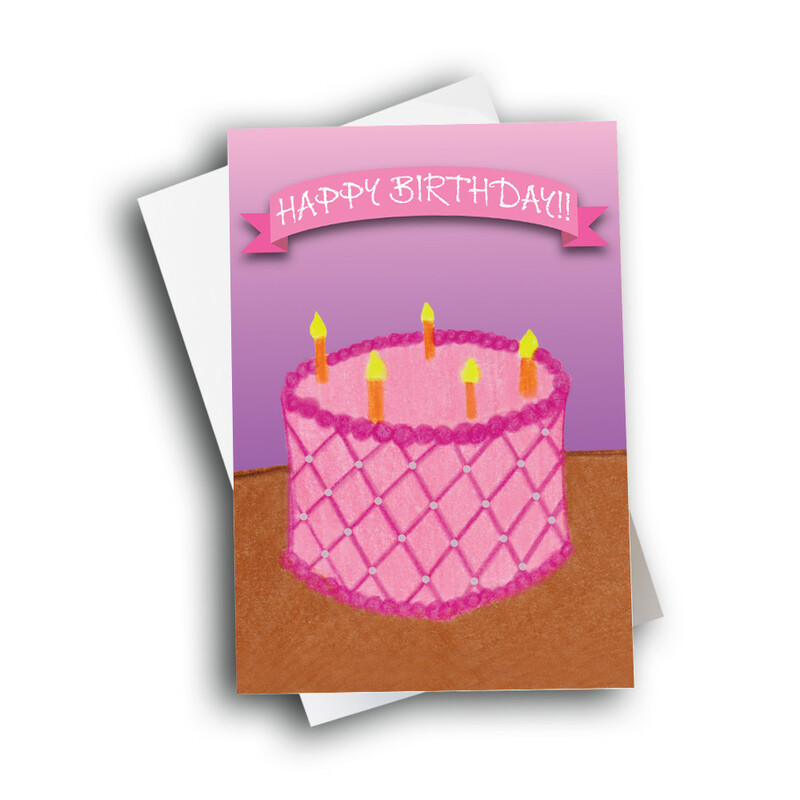 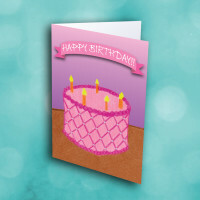 Celebrate a birthday with this sweet, child's artwork based, birthday cake greeting card. 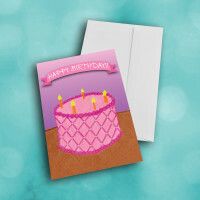 This beautiful birthday card is sure to bring a smile to anyone on their special day. The front is decorated with a pretty pink birthday cake, done in a child's artwork design. 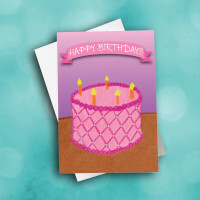 The excited birthday banner hangs above. 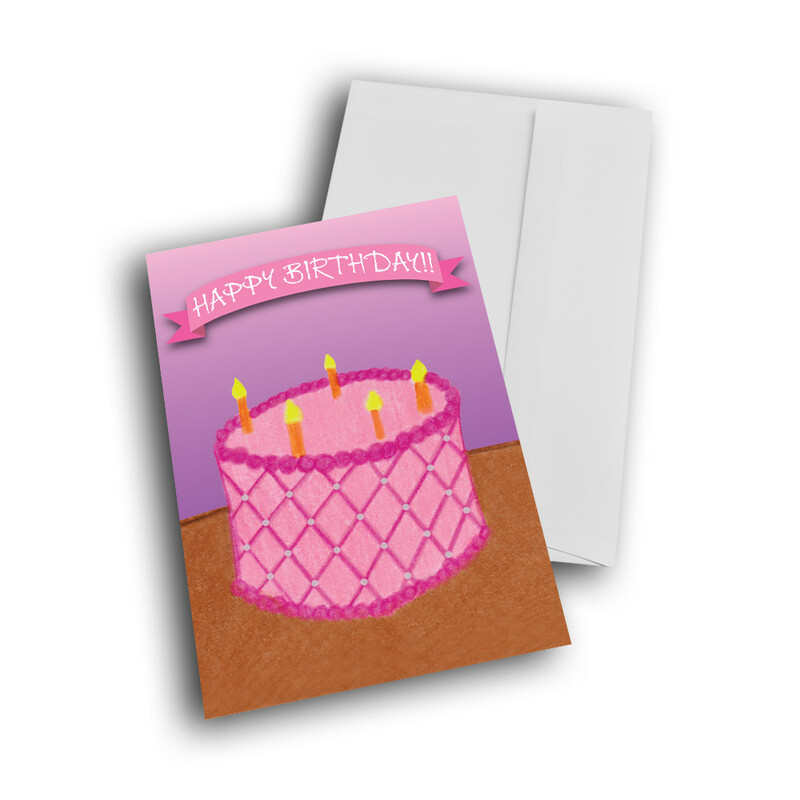 Inside, add a personalized message to make this custom greeting card more meaningful.